If at first you don't succeed, then try, try, and try again. That's the approach Coinbase appears to be taking when it comes to listing new tokens. The San Francisco exchange announced yesterday that it would support trading of Maker, EOS, and Augur, but market observers might have had a case of déjà vu reading the news. This is the second time the firm has announced that Coinbase Pro, its professional trading platform, is offering Maker trading, following a previous announcement in December. The Block has learnt that Coinbase was unable to secure the necessary amount of liquidity to establish a proper order-book for the coin after it started accepting inbound transfers of it at the end of 2018. It was the same story for Zilliqa, which was promptly delisted alongside Maker. Interestingly, neither Zilliqa and Maker were available to U.S. customers in December; a sign Coinbase might have had trouble drumming up interest from its international client base. Or, because trading of Zilliqa and Maker even in the US was too low at that time. Either way, it appears the environment has changed for Maker. “Maker volume has been higher recently and we’ve seen interest from high-volume customers outside the U.S.,” a person familiar with the situation told The Block. 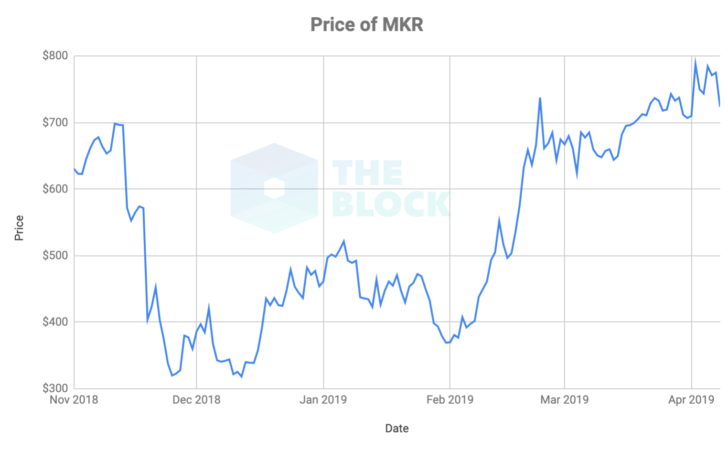 As for its price, Maker has experienced an impressive run-up since Coinbase’s first announcement, almost doubling in price since the beginning of the year to the end of March.